John 1:18 contains one of the most significant textual variants in the New Testament: did John write ὁ μονογενὴς υἱός – “the only-begotten Son” – as the vast majority of Greek manuscripts read, or ὁ μονογενης θεος” – “the only begotten God – as a few Alexandrian manuscripts read? Or did John write μονογενης θεος (without the Greek article ὁ)? Or did John write something else? If mere quantities of witnesses were decisive, the question would be settled in a moment: about 1,610 Greek manuscripts read ὁ μονογενὴς υἱός. Seventeen Greek manuscripts read υἱός accompanied by a minor variation. (Details from Text und Textwurk: 225, 352*, 581, 1126, 1171, 1651, 2311 and 2462 read ὁ μονογεννὴς υἱός and 2546 reads ὁ μονογενὴς ὁ υἱός and 2479 and 2528 read μονογενὴς υἱός, and 2192 reads ὁ μονογενὴς υἱός του θεου and 1116 reads ὁ μονογενὴς γαρ υἱός; the other variants are trivial.) Seven Greek manuscripts read θεός, of which only five – P66, À*, B, C*, and L – do not have the article ὁ before μονογενὴς. The reading adopted in NA27 is attested in .3% of the extant Greek manuscripts. Here, as elsewhere, one may sense the inconsistency of those who speak about “an embarrassment of riches” in the church’s textual treasury and then proceed to adopt readings which imply that 99.7% of the coins are counterfeit. Rather than observe such an overwhelming wave of evidence and call it a day, we should consider ancient evidence – and when we do, this contest becomes less lopsided. Data that pertains to this textual contest can be harvested from the textual apparatus of the United Bible Society’s Greek New Testament, Fourth Revised Edition, from Ezra Abbot’s 1861 article, On the Reading ‘Only-begotten God’ in John 1:18, from Hort’s 1876 dissertation On the Words Μονογενὴς Θεός, and from Paul McReynolds’ essay John 1:18 in Textual Variation and Translation (on pages 105-118 of New Testament Textual Criticism: Its Significance for Exegesis, 1981). A word of caution may be in order regarding an online essay by Brian J. Wright, Jesus as Θεος (God): A Textual Examination. Though described by Daniel Wallace as “outstanding,” and certainly more thorough than most commentaries, the essay contains so many errors that readers are well-advised to avoid relying on Wright’s work without double-checking it. A few examples of the errors in Wright’s essay may convey why it should be considered thin ice: (1) Wright listed S* among the witnesses for μονογενὴς θεός; however, this is surely because Wright used a source in which the letter “S” was used in place of “À” and Wright simply failed to realize this, and misreported À’s testimony twice. 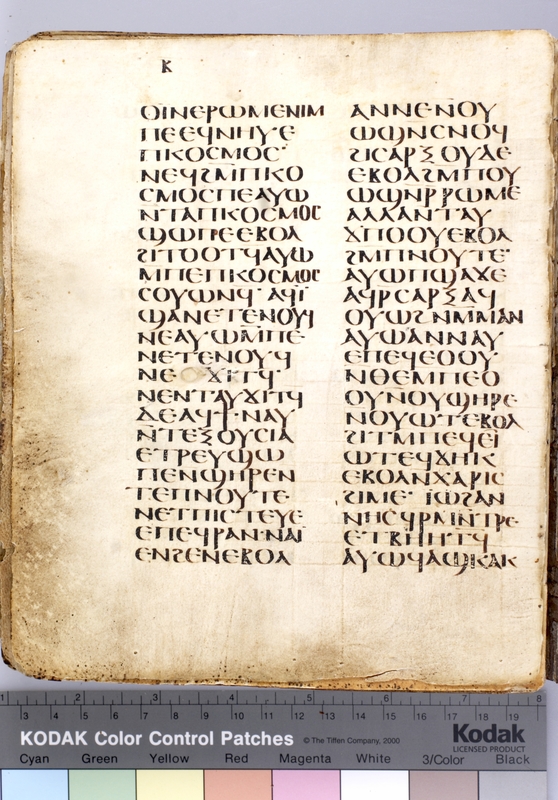 (2) Wright listed Codex D as a witness for ὁ μονογενὴς θεός; however, Codex D – that is, Codex Bezae – is not extant for John 1:18. (3) Wright listed Hilary among the witnesses for μονογενὴς θεός. (The term is used by Hilary in On the Councils, chapter 36). However, as Ezra Abbot observed over 150 years ago, although the term “unigenitus Deus” is often used by Hilary, that does not mean that the phrase was in Hilary’s manuscripts of John. Abbot observed that Hilary “has never quoted the passage with this reading” (i.e., with μονογενὴς θεός) “but has, on the contrary, expressly quoted it seven times with the reading filius; and not only so, but has commented upon it in such a way (De Trin. Lib. VI. c. 39) as to demonstrate beyond question that he thus read the passage.” (4) His use of Apostolic Constitutions as a witness for “only begotten God” as a reading in John 1:18 does not appear to be based on Scripture-quotations, but merely on the use of the phrase “only begotten God” in Apostolic Constitutions 3:17, 5:20, 8:7 and 8:35. John 1:15-19 in Papyrus 66. In this use of John 1:18, even with the addition of the words “of God,” it is clear that Irenaeus was using a text that read υἱός and not θεός; not only is υἱός in the quotation but it is also in Irenaeus’ comment which immediately follows (“For He, the Son who is in His bosom,” etc.). Irenaeus may have used a text of John in which εἱ μὴ preceded ὁ μονογενὴς υἱός in 1:18, as in Codex Wsupp, but regardless, υἱός is clearly favored in this quotation and in the subsequent comment (“Therefore the Son of the Father,” etc.). Hort’s attempt (in his 1876 work Two Dissertations) to spin away from this conclusion is not plausible, despite his confident tone. Only shortly later in Book 4, in 20:11, Irenaeus uses a different reading of John 1:18, stating, “It is manifest that the Father is indeed invisible, of whom also the Lord said, ‘No man has seen God at any time.’ But His Word, as He Himself willed it, and for the benefit of those who beheld, did show the Father’s brightness, and explained His purposes, as also the Lord said: ‘The only-begotten God, which is in the bosom of the Father, He hath declared [Him].’” This quotation in 4:20:11, while not accompanied by confirmatory exposition, clearly supports the reading θεός. While it may seem unlikely that Irenaeus would cite two different forms of John 1:18, or that he would fail to point out that they were verbally different, that seems to be what has occurred. 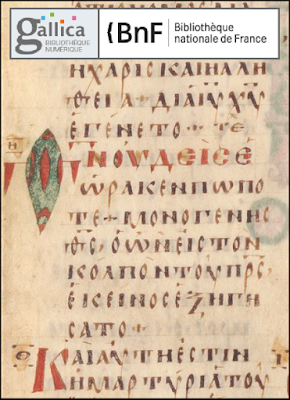 In Contra Celsum 2:71, Origen supports θεός in some copies of this composition, but two copies of it read υιος: “Jesus taught us who it was that sent Him, in the words, ‘None knows the Father but the Son,’ and in these, ‘No man has seen God at any time; the only-begotten Son, who is in the bosom of the Father, He has declared Him.” Very probably the copies with υιος represent scribal conformations to the Gospels-text known to later copyists of the composition, as Hort explains in Note A in his dissertation. ● The Epistle of Hymenaeus (270). Also known as The Epistle of Six Bishops, or, The Epistle to Paul of Samosata, this letter was written and signed by Hymenaeus the bishop of Jerusalem, who presided at the Council of Antioch in 264/268. It was also signed by five other bishops (Theophilus, Theotecnus, Maximus, Proclus, and Bolanus) to express their opposition against the teachings of Paul of Samosata. It was mentioned and summarized by Eusebius of Caesarea. Its text supports ὁ μονογενὴς υἱός. ● Eusebius of Caesarea (early 300s). The testimony of Eusebius, who is cited in UBS4 as if he utilized ὁ μονογενὴς θεός three times out of seven utilizations, was tested by Abbot, who (in citation-references on page 859 of his article, in a footnote) observed that Eusebius repeatedly used John 1:18 with υἱός. As evidence, Abbot mentioned De Ecclesiastica Theologia, Book 1, chapter 20, in paragraphs 4, 5, and 7, and Book 2, chapter 23, and a comment on Psalm 73:11, and a comment on Isaiah 6:1, where the entire phrase, “the only-begotten Son, who is in the bosom of the Father,” is found. Abbot countered the claim (previously advanced by Tregelles) that Eusebius utilized John 1:18 with θεός in De Ecclesiastica Theologia, Book 1, chapter 9, by succinctly showing that the passage supports υἱός more than it supports θεός. Abbot noticed that in De Ecclesiastica Theologia, Book 3, chapter 7, Eusebius states that the Father alone may be called “the One God, and Father of our Lord Jesus Christ; but the Son [may be called] only-begotten God, who is in the bosom of the Father,” – (in the Greek text here, there is no article) – “and the Paraclete, Spirit, but neither God nor Son.” Abbot minimized this statement as something less than a direct quotation, but to me, it looks like a utilization of John 1:18 with no article before μονογενὴς, followed by θεός. ● Athanasius of Alexandria (296-373). The bishop of Alexandria in the early 300s might be expected to promote the Alexandrian reading of John 1:18 – but that is not what we find. Instead, in Defense of Nicea 5:7, Athanasius uses John 1:18 with “the only-begotten Son” as one of the proof-texts that Christ is begotten, not created. And in Discourse 2, Athanasius quoted John 1:18 with ὁ μονογενὴς υἱός in the midst of a theological discussion. In the composition Contra Sabellians, which is sometimes attributed to Athanasius, all of John 1:18 is cited with “ὁ μονογενὴς υἱός.” If this is not the work of Athanasius then it is the work of another, slightly later, Greek writer. John 1:18 in Codex L.
(2) Auxentius stated that Wulfilas “spread abroad, by his words and tractates, that the Father and the Son were different in their divinity, unbegotten God and only-begotten God (dei ingeniti et dei unigeniti). ● De Sanctissima Trinitate Confessio (300s). This Latin text is usually attributed to Eusebius Vercellensis, although this attribution is not secure; the composition in any event is from no later than the late 300’s. According to McReynolds, in 4:16 the author quotes John 1:18 with “only-begotten Son” (unigenitus filius) in its fourth chapter. Again: the Peshitta supports ὁ μονογενὴς θεός. ● Didymus the Blind (313-398) (maybe). The testimony of Didymus should be viewed through the lens of the suspicion that someone other than Didymus is the author of De Trinitate. Whoever the author of De Trinitate was, he utilized John 1:18 with θεός in 1:15, 1:26 and 2:5. According to Hort, Didymus used the same text in a comment on Psalm 76:14. McReynolds lists Didymus’ Commentary on Zachariah 5:33 and Commentary on Ecclesiastes 12:5 as additional utilizations of John 1:18 with θεός. ● Epiphanius (late 300s). According to Hort, in Ancoratus 2:5, 3:9 and in Panarion 612, 817, Epiphanius utilizes John 1:18 with θεός; unfortunately Hort did not specify whether the article was present or not. ● John Chrysostom (349-407). This famous writer quoted John 1:18 seven times, and every quotation supports ὁ μονογενὴς υἱός. A definitive example is Chrysostom’s Homily 15 on John; another is in his composition On the Incomprehensible Nature of God, 4:3 and 5:1 (found in Vol. 48 of Migne’s Patrologia Graece, columns 731 and 736; digital page #211 and #215). John 1:18 in a typical medieval minuscule. ● Adimantus (mid/late 300s). This Manichaean heretic wrote a book and Augustine wrote a response to Adimantus’ book. Usually when Augustine quotes John 1:18, he uses unigenitus to represent “only-begotten,” but in Contra Adimantum 9, a quotation of John 1:18 appears in which unicus is used instead: deum nemo vidit umquam nisi unicus filius qui est in sinu patris ille adnuntiavit vobis de eo. (See pages 144-145 of Hugh Houghton’s Augustine’s Text of John, © 2008 H. A. G. Houghton, Oxford University Press.) Repeatedly in Contra Adimantus, Augustine’s quotations from John depart from the form that he usually employs, suggesting that in these particular quotations, Augustine is quoting passages of John as they were presented in Adimantus’ composition. More recently, it has been ascertained (via carbon-dating) that the Ethiopic Garima Gospels were produced in or about the 400s-500s, a date far earlier than any other Ethiopic Gospels-manuscript has been ascertained to have. 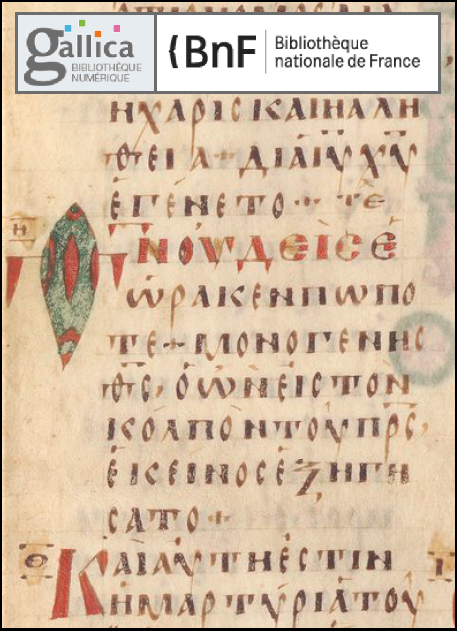 A consultation with Michael Wechsler, who edited the Ethiopic text of John (Evangelium Iohannis Aethiopicum) as Volume 617/109 in the series Corpus Scriptorum Christianorum Orientalium in 2005, revealed that the Garima Gospels supports “the one [or, unique, wahed] God,” which constitutes support for ὁ μονογενης θεος or μονογενης θεος. This evidence shows that a simple numerical count of medieval manuscripts does not tell the whole story about this text-critical contest. At the same time, it also demonstrates that both readings are very ancient, and that both were used by orthodox writers and by heretics. Excellent research James. Interesting that some textual witnesses that read God/Theos do not include the article. A lot to digest here, but none of the Greek forms appear to be out of character with the rest of the scriptures. Only some of the English translators are culpable. Looks like those conjectural conflations may go way back too.